From this weekend (16 Mar) we have 2 more four bed houses available to view. These houses are available for purchase. The houses will only be available to view with an appointment so please contact the sales team to book a time. This weekend (18 Mar) we will have available two more four bed houses to view. These houses are also available to purchase. The houses will only be available to view with an appointment so please contact the sales office on 01977 731802 to make an appointment. We are delighted to launch our new four bed show house. 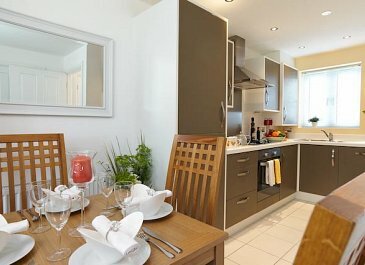 We now have a fantastic range of four bed houses some available for immediate occupation. 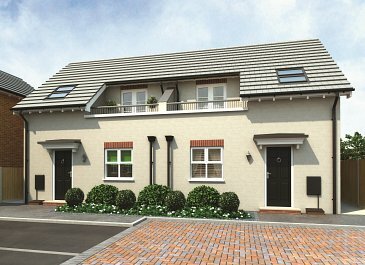 Due to overwhelming demand, we have now launched Phase 3 with a wide selection of two, three and four bed houses. We have just launched our Facebook page, please search for Navigation Point and Like our page. The pages includes an aerial film we had commissioned of the site and the surrounding area. We are also launching this weekend the first properties overlooking the Oxbow. Good Friday will see the launch of the next Phase at Navigation Point. 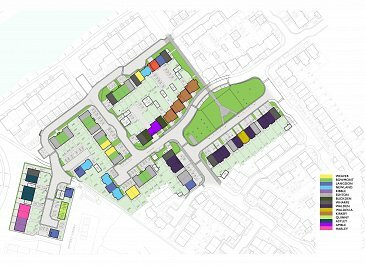 This will include a range of two, three and four bed houses in and around the Central Square. We are also prepared to take reservations from cash purchasers (ie not reliant on a mortgage and who can proceed to exchange) for other properties not yet listed on the price list. This includes a detached Langdon, a Newland with a garage and a range of three and four bed houses overlooking the Oxbow. 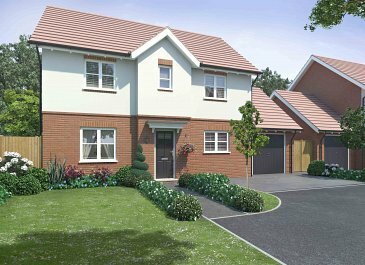 For more information please contact our sales team, Julie or Sue at sales@greenhavenhomes.co.uk or 01977 731802 or 07715 084064. Saturday the 21st February sees the exciting launch of our remodelled and ever popular 3 bedroom Eshton showhome which now includes a new spacious living room! 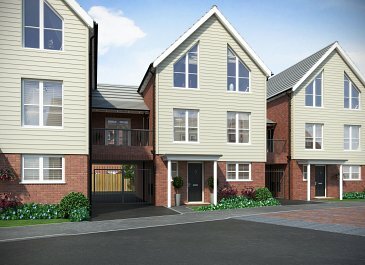 In addition we shall be launching our four bed Buckden showhome which can be bought as seen. 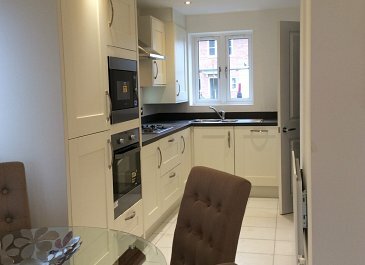 This stunning showhouse includes a Designer kitchen with fully fitted fridge freezer, integrated oven and microwave, dishwasher and waste disposal unit. A new four bed showhouse, the Buckden, will be available to view and purchase from immediately after Xmas. The Eshton Showhouse is currently being remodelled and will be available to view from mid January. There is still one Eshton available to purchase. Work has started on the next Phase heading towards to the river. Planning has been submitted to improve the access to the site. 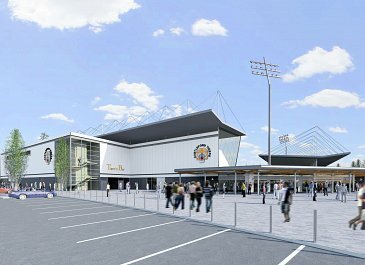 Lateral Properties has announced their intention to submit a planning application in the summer for approximately 500,000 sq ft of retail, a new stadium for the Castleford Tigers and a large eco park. The £135 million scheme will provide up to 2,000 new jobs and significant highway improvements to the existing motorway junction. We have now fitted out a Malham which is available to view and / or purchase. The specification includes fully fitted fridge freezer, integrated oven and microwave, dishwasher, waste disposal unit and carpets. Congratulations to the site manager Jason Kirby, who has been nominated for the LABC Site Manager of the Year. The Housing Minister, Kris Hopkins MP visited the site last week and met with apprentices and home owners. We was very impressed with our innovative designs and quality of build. Early Warning!! 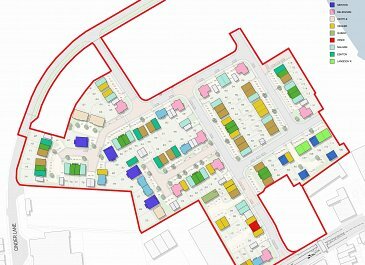 We are planning to launch Phase 1B which includes Weavers, Bowmonts, Langdons, Malhams and Eshtons at the end of this month. Further information will be posted on this web page. 2013 was an exciting year for us. 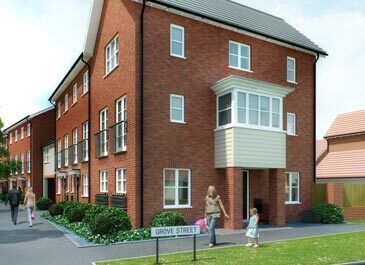 Throughout 2014 we will continue to offer our wide range of 2, 3 and 4 bed houses. 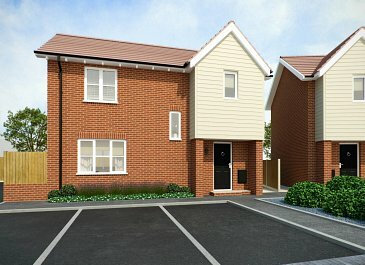 In addition, we have recently launched a limited number of detached 2 and 3 bed houses. Due to the high level of demand, we shall now be opening the Sales Office 7 days a week from 10.30am to 5.30pm. The Sales Team are delighted to announce completion of our third show house The Langdon. This contemporary 2 bed house includes a breakfast bar and outside balcony. *Open 10.30am to 5.30pm Thursday to Monday. 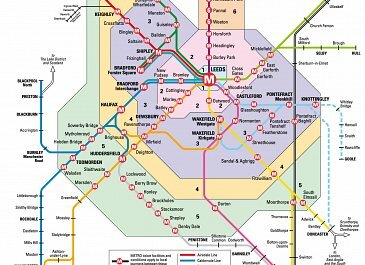 The train and bus station is only a 5 minute walk from the site and with half hourly rail services into Leeds Greenhaven Homes is delighted to announce that we shall be offering free Zone 1-3 Travel Cards, subject to availability. For full details please click on the link. 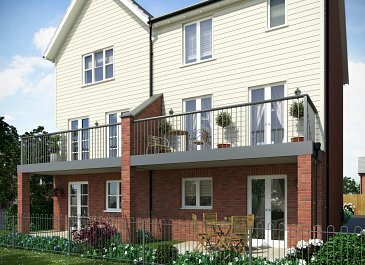 The team are delighted to announce completion of our second show house The Eshton, 3 bed Town House with outside balcony. 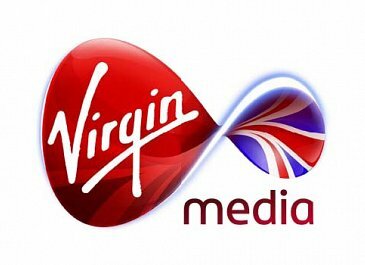 Virgin Media are delighted to announce that they are installing fibre optic cable at Navigation Point Castleford with anticipated download speeds of up to 120mb. Irene Scurrah, Sales Manager says “We are delighted Virgin Media will be installing fibre optic cables as fast internet access is becoming a pre-requisite of many buyers. To enable easy access to the internet we have installed at least two virgin media sockets in each house”. 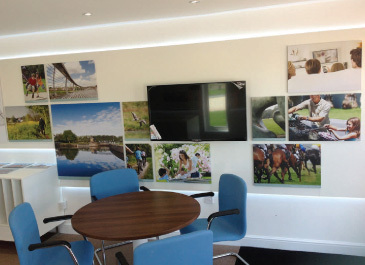 Greenhaven Homes have now opened the marketing suite . With prices startng from £90,000 and only a 5% deposit and a 75% mortgage required using the Governments Help to Buy Scheme there are a wide variety of propertes available to buy. Please contract our Sales Manager, Irene Scurrah on 07715 084064. 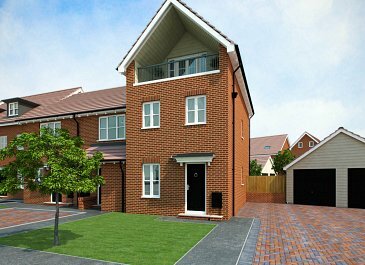 Greenhaven Homes will shortly launch a selection of two and three bedroom houses offering a variety of house styles. We anticipate the Sales Office Opening on 1 June 2013. 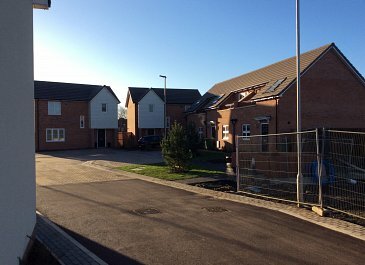 We anticipate the Show Houses being completed at start of July 2013. Greenhaven Homes are delighted to announce the commencement of the first phase of this riverside scheme close to the centre of Castleford. 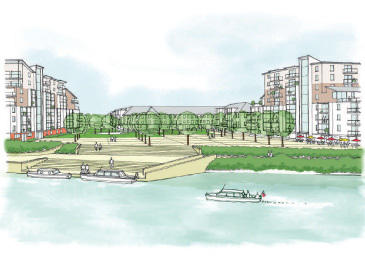 Navigation Point will be unlike any other scheme in Castleford. For the first time, the full glory of the Rivers Aire and Calder will be opened up for residents to enjoy. The banks of these 50m wide rivers are peaceful and unspoilt providing an ideal place to relax. 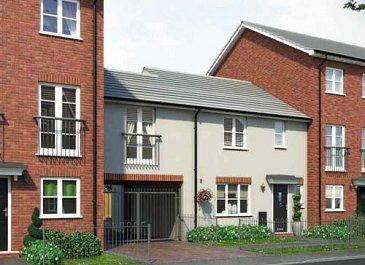 Residents will also be able to enjoy the benefits of living close to the town centre whilst having the open countryside on their doorstep. Castleford is currently enjoying a rejuvenation as buyers recognise the town’s accessibility, its affordability, open space and quality of local amenities. 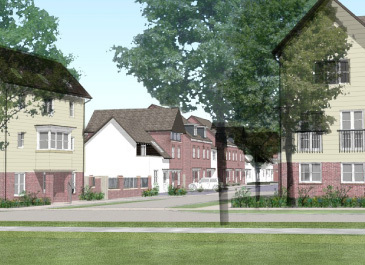 Greenhaven Homes has secured detailed planning consent for the first Phase of the development at Navigaion Point for 279 dwellings on approximately 15 acres.